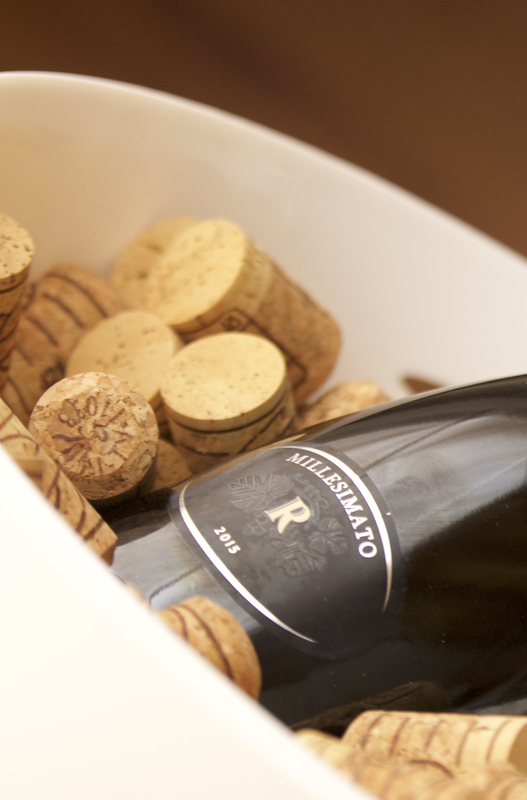 Always we have chosen for our wine bottles “Vetreria Etrusca“. That company has made respect for the enviroment a strategic choice, because it is precious and we all must protect it and preserve it. This company has renewed its factory with sustainable technologies. A big commitment for which, Vetreria Etrusca, has obtained the prestigious certification UNI EN ISO 14001:2004. Vetreria Etrusca fully recycled cullet produced by internal machining. It is also member of CO.RE.VE, Glass Recovery Consortium. The commitment of Vetreria Etrusca in this field is such important that, today, each bottles are made from 75% recycled scrap. 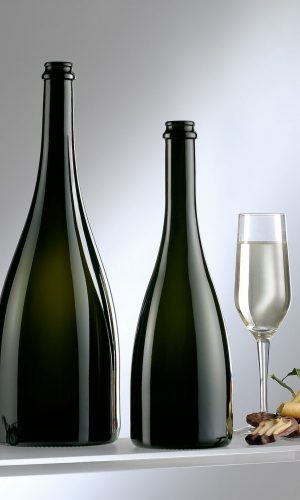 We have choosen Nomacorc caps for our Prosecco DOC Tranquillo “la Ziliera” because they are completly recyclable, realized with polyethylene materials (LDPE RIC4). A large percentage of the production water is recyclable and also the production waste are recovered, at 100%, in others industrial products. J. Vigas s.a. is certified FSC®, it means that forestry works are responsible and all products come from forests managed in a rational and sustainable way, manner from economic, environmental and social point of view. So FSC® logo is an important guarantee for the consumers. J. Vigas s.a. is one of the first obtained the certification FSC®-Catena and the first, in Spain, to become members of RIdCF (Iberian network of forestry trade), a WWF/ Adena initiative, born in order to promote the sustainability of forests. 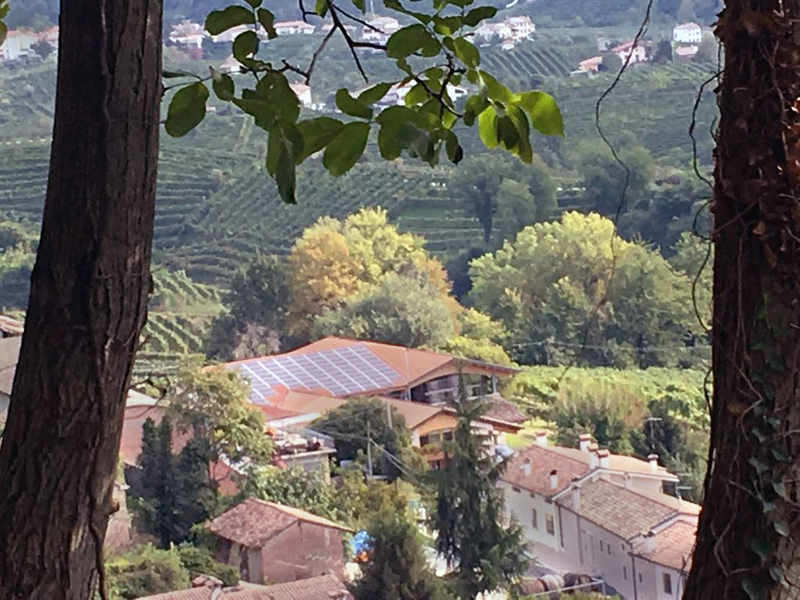 The use of solar energy for the production of electricity, for the winery, is a conscious choice for environmental sustainability. Many advantages, first among all the independence from fossil fuel. Solar energy is a clean source, renewable and inexhaustible, for this reason allows us to think about the future without the fear of running out of fuel. The sun can help us to leave a cleaner word especially for next generations. 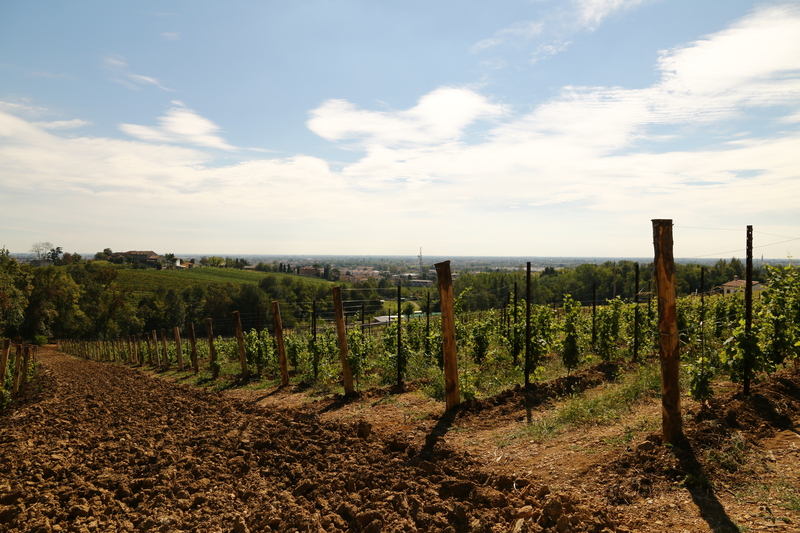 In our vineyards we make the harvest by hands, with enormous respect for grapes. 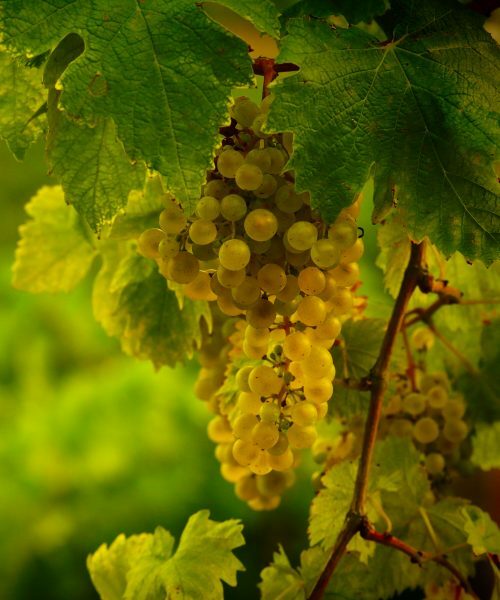 Each grapes are chosen with care and attention. This type of harvest is more expensive. We bring the grapes, as soon as possible, in the winery to prevent that grapes are crushed to avoid compromising the quality of the wine. 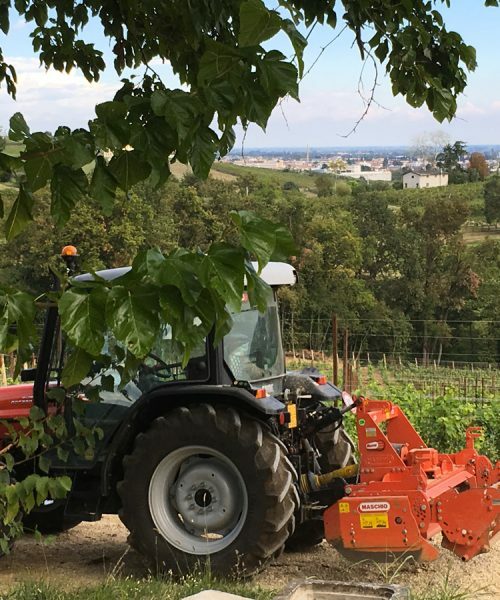 The mechanical harvesting is hampered by the steep slope of the terrain, limited extent of areas under vines in the companies, the arrangement of branches and others things. The manure is considered the king of fertilizers. In addition to making the soil organic matter, it contains quantities of nutrients such as nitrogen, potassium and phosphorus. We use the so-called ‘mature manure’, that with time (at least four months of age) has lost any harmful substances that could harm the microbial activity of the soil or plant roots. The traditional techniques involve the use of filter aids that can not be regenerated, resulting in the production of waste classified as hazardous. 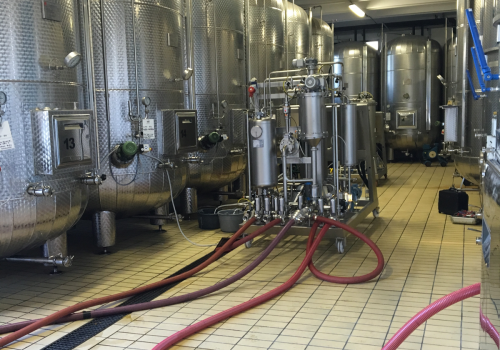 So we decided to buy a “filtro tangenziale” that help us to reduce waste products, reduce risks to safety of our workers, have a highly quality of wines, reduce labor and operating costs. It allows us to reduce the times required for the preparation of the soil. This machine is suitable for working the soil in sloping and irregularly shaped plots that offer effective and uniform distribution of fertilizers, cutting the waste into small parts for fast decomposition and others thing.